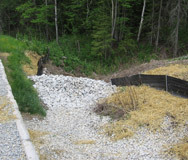 Soil Erosion & Sedimentation Control | JZ Environmental Consultants, Inc.
Over the years, JZ has developed a reputation for taking a practical, common-sense approach to erosion control issues. 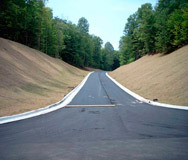 Our team of problem solvers has a proven track record for designing and implementing successful erosion control measures for projects of every shape and size. 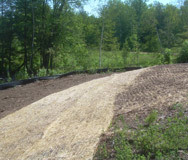 The key to successfully managing soil erosion on a project is to use techniques that are appropriate for the unique site characteristics and ensure that the control measures are properly installed. A number of JZ’s projects have been referenced by regulatory agencies for their exemplary quality and innovation. On occasion our team has been called on to redesign and/or repair of erosion control measures that were inadequate or failing. Our goals is to ensure the most effective and successful means of control are utilized.